A photographic trip report of a short walk we did when we returning home from a weekend trip to Blackpool. 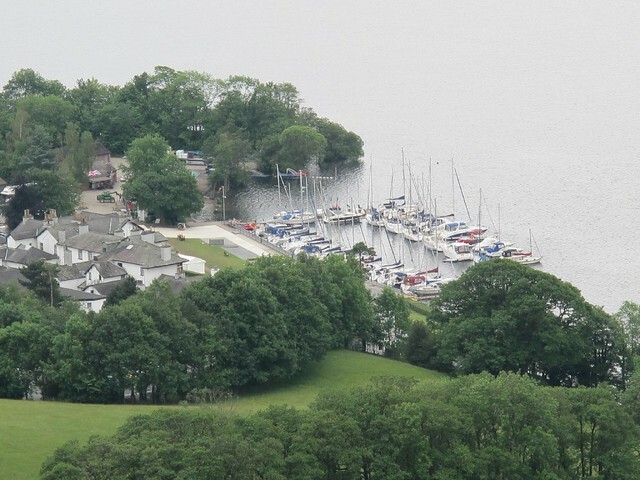 We left the motorway at Kendal to skirt the edge of the Lake District – passing by Windermere with a stop at Amblesisde. 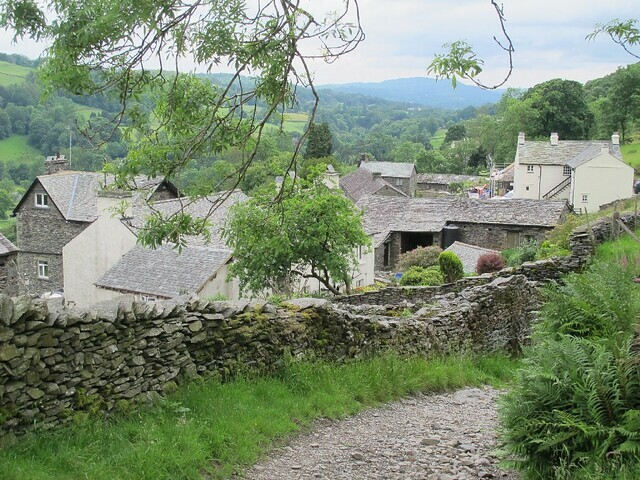 From this busy village we took a short walk up Wansfell Pike. 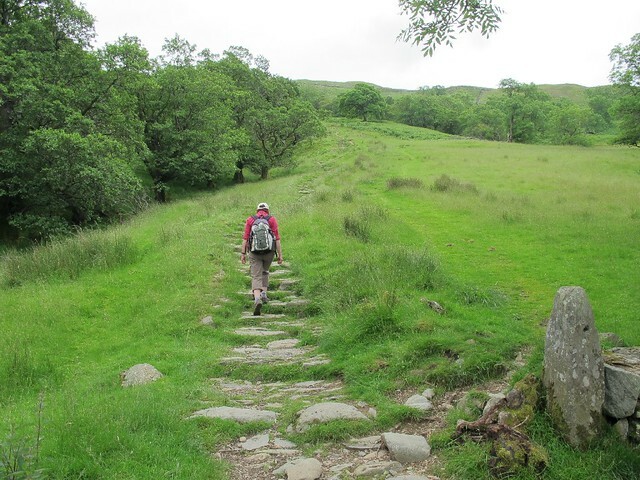 We followed a path that lead up past Stock Ghyll Force and out on to the grassy slopes of Wansfell. 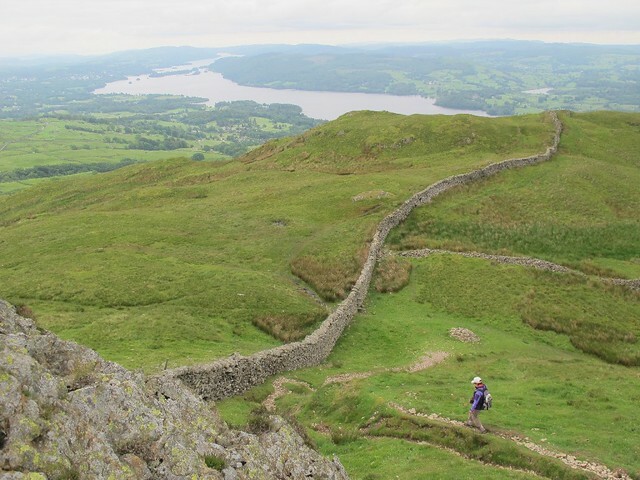 From the summit of the western end of the hill – Wansfell Pike – we dropped down to the tiny village of Troutbeck. 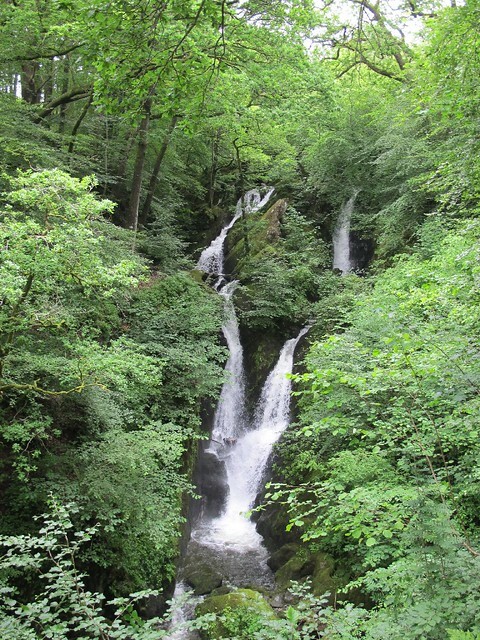 We returned to Ambleside by Skellghyll Wood. 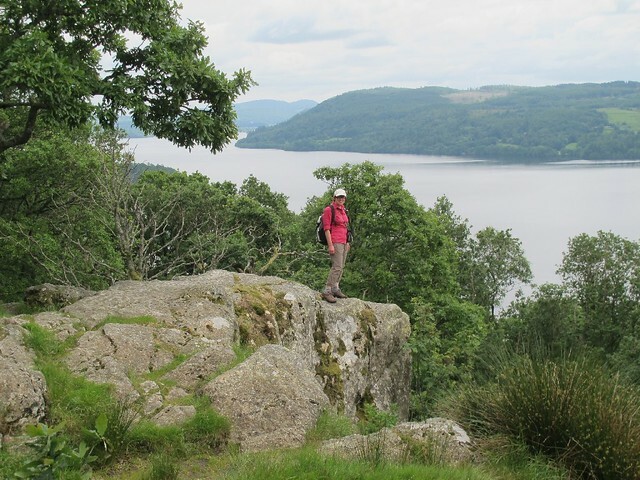 A lovely, short walk, for an all too brief trip to the Lakes. Lovely pix! All that greenery. Really makes me nostalgic because we have what are more-or-less drought conditions here (though there is no water shortage) in the south. You were lucky with the weather from what I hear from my dad of late! Yes, we just missed the worst of the weather. We drove through a few flooded stretches of roads in the Scottish Borders and almost got the car stuck in the parking area (a very wet, muddy field) at Broadmeadows Youth Hostel (the oldest YHA in Scotland), but thanakfully got out, We had a few squally showers when in Blackpool, with the rain blowing in off the sea, but overall it was not too bad. 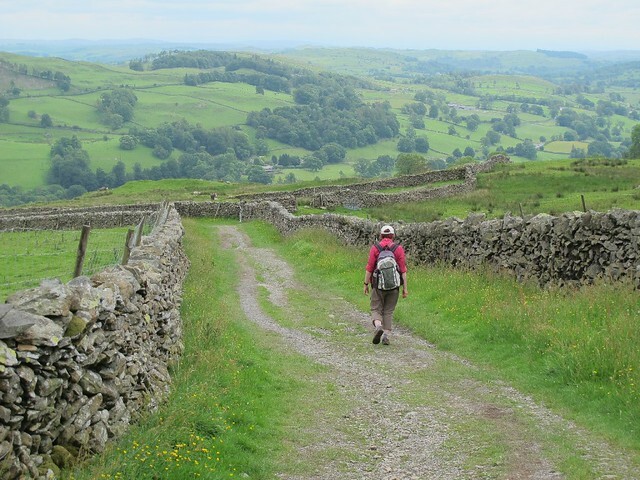 I love the rolling green hills and the little villages and the stone walls! 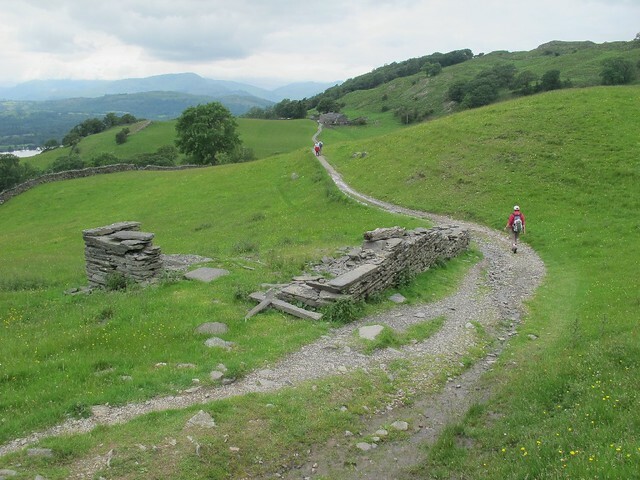 This is typical scenery of the English Lake District. Small fields with drystone walls and sheep grazing on the short grass. Beautiful pictures!!!!! Thank you for showing all of them. They are astounding and a great way to show mother nature’s riches. I can only hope that one day, I will get to see them. Lovely pictures. 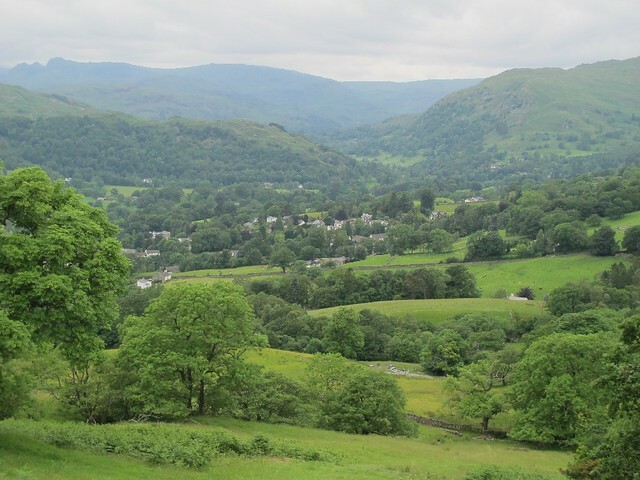 I went to Ambleside last year but arrived via ferry from Bowness – such a lovely dock to head in following a short bus ride we were in the middle of Ambleside amongst the quaint shops and cafes. It rained the whole time we were there so getting pictures like your here would have been a very long shot. Really nice pictures and article – reminded my of my trip!